The MIT Center for International Studies (CIS) was established in 1952 with the aim of conducting research to help the United States in its cold war struggle against the Soviet Union. Later, however, the Center broadened its focus to include research and teaching on a wide range of international subjects, like development studies, comparative politics, international relations, social movements, security studies, and international science and technology. The Center includes 160 staff and faculties, besides foreign students and researchers, and seven working groups are effective today. 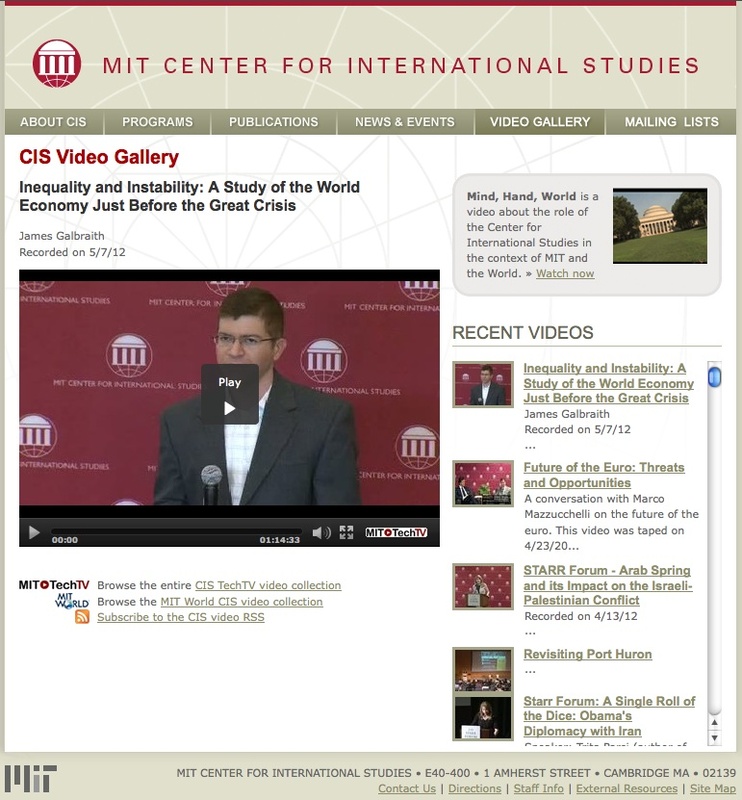 The events sponsored by the CIS are made available in the video gallery, where the videos are imported directly by MIT web-tv, MIT-TechTV (http://techtv.mit.edu/). Videolectures are freely available but no description or materials are attached. The pages all have the same structure: a video talking about the role of the Center in the MIT universe, the selected videolecture, with a few search links to the other MIT video collections (CIS TechTV and MIT World CIS), RSS feeds and a list of recently viewed videos. The web site is simple to use and has a clear structure. The MIT Center for International Studies is also present on iTunes with a podcast including about 20 videolectures.